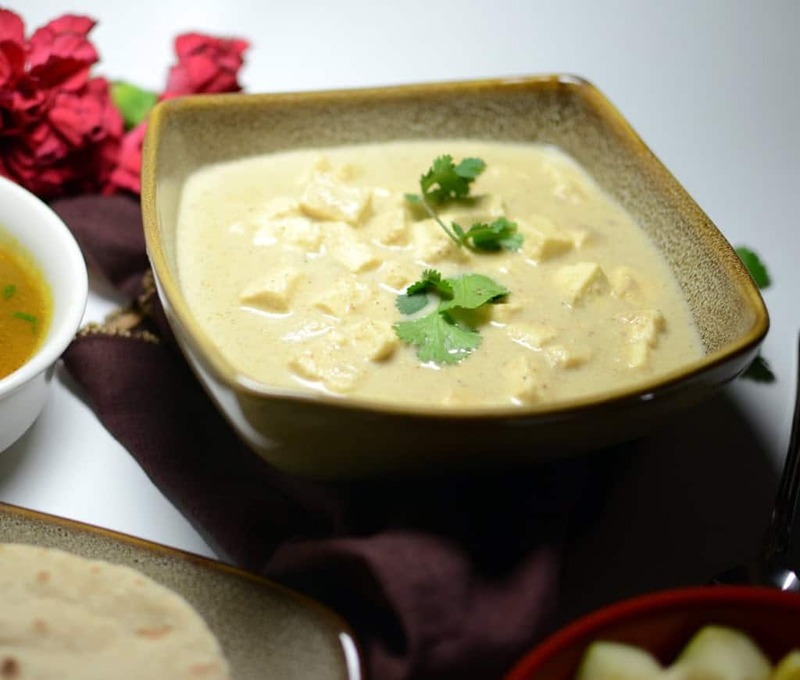 Paneer is everybody’s favorite in my family. 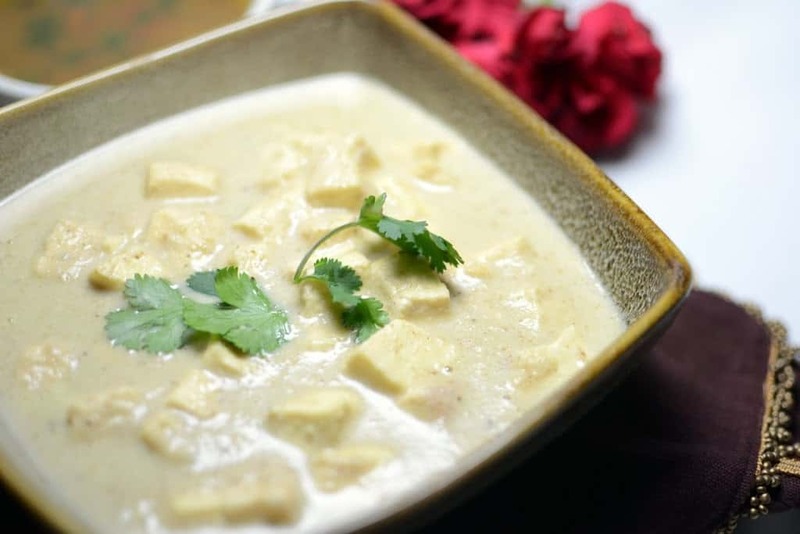 Whenever I am short on ideas on what to cook, paneer comes to my rescue. This is very quick and easy recipe and it tastes awesome. If you like white gravies, then try this one will suit you well. 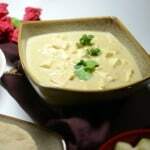 Although I have mostly prepared paneer in red gravy, such as Matar Paneer and the yellow Lahsooni Methi Paneer, this white gravy is particularly flavorful and creamy. It can be enjoyed with Makki Ki Roti or Chicken Pulao. I too have tried this one and liked it a lot. Just added a few green peas too. Simple and yummy paneer dish. You won’t believe this, I had left over cashew paste in my fridge.Actually I did it with milk. 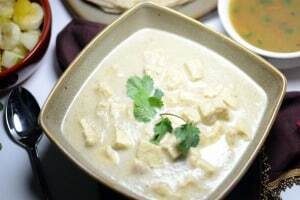 So I guess today’s lunch is Paneer in white gravy. 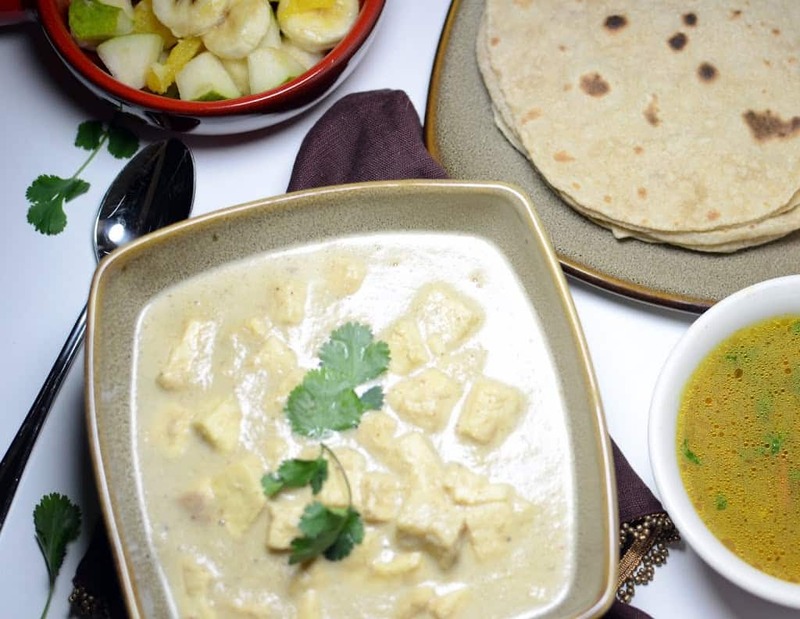 Mouthwatering here, wat a terrific and super tempting paneer dish. id love to eat this with garlic naan :)yummy ! rich and delicious curry, looks yummy.. I added peas. so good. thank you! All fake comments except the one by Joe. BTW the recipe is really good. A bit sweet but fine. What do you mean by fake comments?